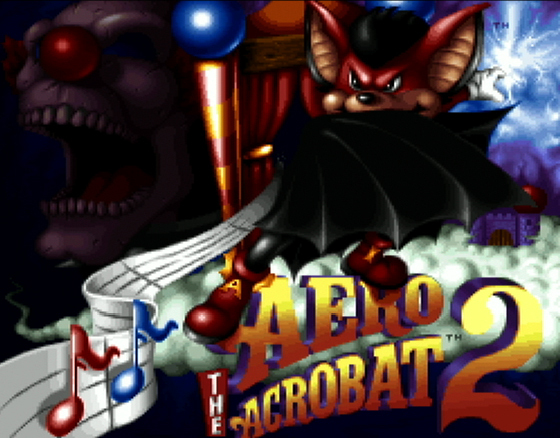 The aerialist extreme, Aero the Acro-Bat, bounds back into the spotlight once again to stop the wicked industrialist, Edgar Ektor! Aero has entered a new realm of enchantment and must now use all of his acrobatic prowess to foil a criminal plot known only as "Plan B." Join Aero as he discovers new friends - and enemies - in a world custom-built for his high-flying adventures. 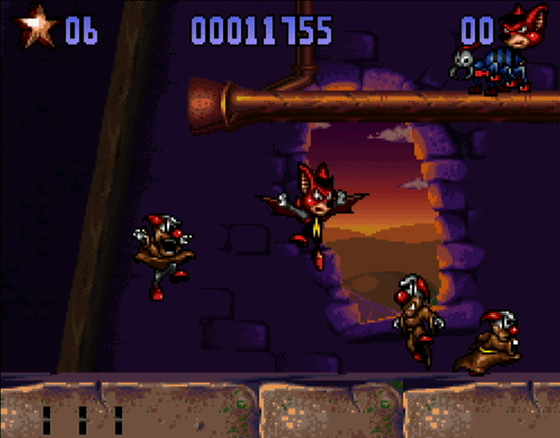 There are 45 levels of acrobatic fun, including Bonus Rounds, Chance Stages and Hidden Chambers. Discover new villains and original digitized character voices. A password feature allows you to return to any level. 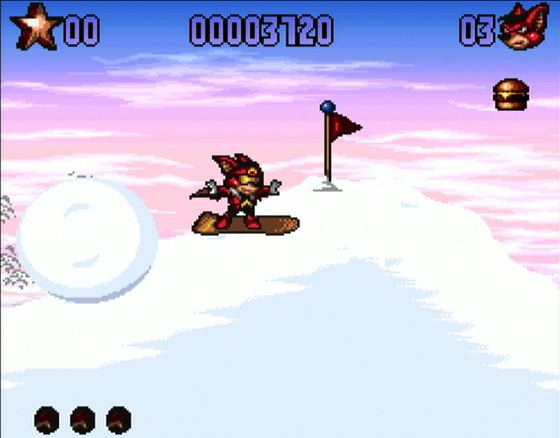 The Chillin' Snow Boarding Stage adds a new twist to Aero's style, and you'll find new moves and fighting techniques for Aero's attacks.